Along with his sire Fort Wood he is one of only 3 sires in the history of South Africa to get 3 Horses of the Year. 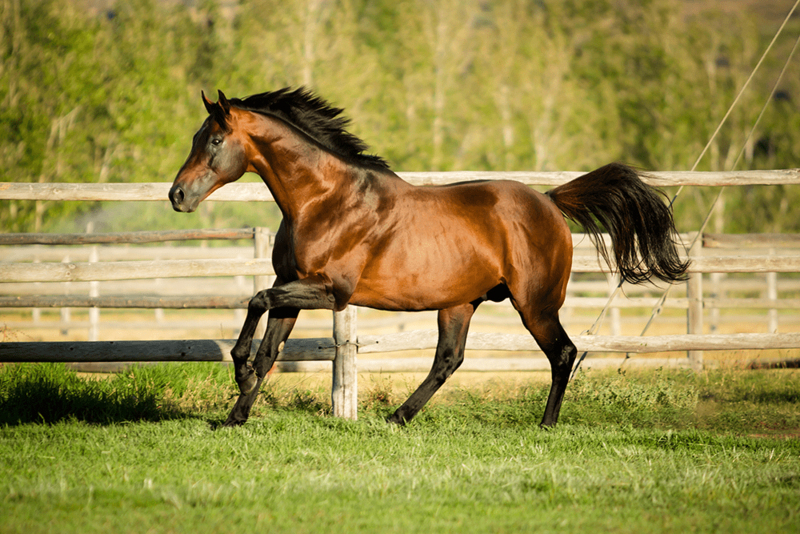 His sire – FORT WOOD (USA) was a “Sire of Champions” and “SA Champion Sire“. DYNASTY Horse of the Year & Champion 3YO Classic Male in South Africa in 2002-03. 9 wins-1 at 2-from 1600m to 2200m, R2,125,000, Greyville Durban July H., Gr.1, South African Guineas, Gr.1, Daily News Two Thousand S., Gr.1, Kenilworth Cape of Good Hope Derby, Gr.1, Green Point S., Gr.2-twice, Selangor Cup, Gr.2, 2d Kenilworth Cape Argus Guineas, Gr.1, Greyville Golden Horseshoe S., Gr.2, 3d Kenilworth Queen’s P., Gr.1. He entered stud in South Af in 2005. Sire of 500 progeny to race, 344 winners (68.0%), earnings of over $12 million, 59 stakes winners, 34 stakes placegetters, inc.
BEACH BEAUTY (07f, Capture Him, Hobnob). Champion Older Female in South Africa in 2012-13 & 2013-14.17 wins from 1000m to 2000m, R5,300,225, Greyville Garden Province S., Gr.1-twice, Kenilworth Paddock S., Gr.1-twice, Majorca S., Gr.1, Greyville Drill Hall S., Gr.2-twice, Betting World 1900, Gr.2, KRA Fillies Guineas, Gr.2, Gold Bracelet S., Gr.2, Kenilworth Premier Trophy, Gr.2, Scottsville Umzimkhulu S., Gr.3, Clairwood Rusedski P., Kenilworth L’Ormarins Queens P., 2d Clairwood Gold Challenge, Gr.1-twice, Greyville Garden Province S., Gr.1, Kenilworth Paddock S., Gr.1, Clairwood Poinsettia S., Gr.3, Kenilworth Victress S., Gr.3, 3d Kenilworth J&B Metropolitan H., Gr.1, Green Point S., Gr.2. FUTURA (10c, Badger’s Drift, Western Winter). Horse of the Year, Champion Older Male & Middle Distance Horse in South Africa in 2014-15.9 wins from 1200m to 2000m, R4,337,575, Kenilworth J&B Metropolitan H., Gr.1, Greyville Champions Cup, Gr.1-twice, Kenilworth Queen’s P., Gr.1, Greyville Betting World Fixed Odds Exotics 1900 Consolation H., Clairwood Rugby 5 P., Greyville Lotus Rehabilitation Centre S., Kenilworth J&B Made Different H., 2d Kenilworth Green Point S., Gr.2, Cape Town Prawn Festival Day H., 3d Greyville Durban July H., Gr.1, Kenilworth Green Point S., Gr.2, Clairwood Cup Trial, Gr.3, 4th Greyville Durban July H., Gr.1, Gold Challenge, Gr.1. BELA-BELA (12f, Royal Academy, Secreto). Champion 3YO Filly in South Africa in 2015-16.7 wins from 1000m to 2000m to 2016-17, R2,636,875, Greyville Woolavington 2000, Gr.1, Garden Province S., Gr.1, Kenilworth Paddock S., Gr.1, Greyville KZN Fillies Guineas, Gr.2, 3d Greyville Gold Challenge, Gr.1, Kenilworth Paddock S., Gr.1, 4th Greyville Champions Cup, Gr.1. JACKSON (08c, Cozzene, Gone West). 6 wins from 1400m to 2000m, R2,366,255, Greyville Daily News 2000 S., Gr.1, Champions Cup, Gr.1, Kenilworth Cape Derby, Gr.1, Politician S., L, 2d Kenilworth Queen’s P., Gr.1-twice, Greyville KRA Guineas, Gr.2, Kenilworth Green Point S., Gr.2, Diadem S., Gr.2, 3d Kenilworth Buy One Meal Get One Free S., 4th Clairwood Mercury Sprint, Gr.1. IRISH FLAME (06c, Flaming Rock, Condorcet). Horse of the Year in South Africa in 2009-10. Champion 3YO Colt & Stayer in South Africa in 2009-10.7 wins from 1600m to 2450m, £4,075, R2,740,825, 151,488Dhs, Greyville Daily News 2000 S., Gr.1, Turffontein South African Derby, Gr.1, Clairwood Gold Circle Derby, Gr.2, Kenilworth Politician S., L, 2d Greyville Durban July H., Gr.1, 3d Turffontein South African Classic, Gr.1, 4th Meydan Al Rashidiya S., Gr.2. EYES WIDE OPEN (14c, Jallad, All Fired Up). 4 wins-2 at 2-from 1600m to 2000m to 2017-18, R1,408,375, Greyville Premiers Champion S., Gr.1, Kenilworth Cape Derby, Gr.1, Peninsula H., Gr.2. LIEGE (12c, Jallad, Royal Prerogative). 6 wins from 1600m to 2000m to 2017-18, R1,905,000, Turffontein Summer Cup, Gr.1, Jubilee H., Gr.3, Care for Education P., Vaal Book a Table H., 2d Turffontein Victory Moon S., Gr.2, Graham Beck S., Gr.3, 3d Kenilworth Politician S., Gr.3, 4th Turffontein Summer Cup, Gr.1. LADY IN BLACK (14f, Jet Master, Flaming Rock). Champion 2YO Filly in South Africa in 2016-17.4 wins-3 at 2-from 1200m to 1600m to 2017-18, R1,096,875, Greyville Thekwini S., Gr.1, Umzimkhulu S., Gr.3, Lenmed: Ethekwini Heart Hospital Juvenile P., 2d Kenilworth Paddock S., Gr.1, 3d Greyville Woolavington 2000, Gr.1, 4th Kenilworth Cape Fillies Guineas, Gr.1. IT’S MY TURN (12c, Jallad, Elliodor). 3 wins from 1300m to 2400m to 2017-18, R1,707,095, Kenilworth Cape Derby, Gr.1, Scottsville Track & Ball Derby, Gr.3, 2d Greyville Daily News 2000 S., Gr.1, 3d Greyville Betting World 1900, Gr.2, Kenilworth Peninsula H., Gr.2, Greyville Kings Cup, Gr.3, 4th Greyville Durban July H., Gr.1. LADY OF THE HOUSE (13f, Arch, Known Fact). 3 wins at 1400m, 2000m in 2016-17, R768,750, Greyville Woolavington 2000, Gr.1, 3d Greyville Open a Betting World Account P.
BLAKE (06g, Nassipour, Century). 9 wins from 1800m to 2800m, R1,059,168, Kenilworth J&B Reserve Stayers H., Gr.2, Greyville Lonsdale Stirrup Cup, Gr.3, Kenilworth Cape Summer Stayers H., Gr.3, Durbanville Woolavington H., L, Play an All to Come Bet H., Kenilworth SKFD P., 2d Greyville Schweppes H., Gr.3, Durbanville UK Soccer 6 H., All to Come Bet H., Kenilworth Montrose Foundation S., All to Come Bet H., 3d Greyville Gold Cup, Gr.1, Gold Vase, Gr.2, Kenilworth Chairman’s Cup, Gr.3, Durbanville Settlers’ Trophy, L, Have a Royal H., UK Soccer 6 H., 4th Kenilworth J&B Reserve Stayers H., Gr.2, Cape Summer Stayers H., Gr.3. LET IT RAIN (12c, Giant’s Causeway, Seattle Slew). 7 wins from 1700m to 3200m to 2017-18, R1,233,638, Kenilworth Cape Stayers H., Gr.2, Turffontein Gold Bowl, Gr.3, Vaal Java H., L, Turffontein World Sports Betting S., Soccer 13 Xtra Graduation P., Tellytrack H., 2d Turffontein Caradoc Gold Cup, Gr.3, 3d Greyville Gold Cup, Gr.3, Scottsville Track & Ball Derby, Gr.3, 4th Kenilworth Chairman’s Cup, Gr.3, Turffontein Gold Bowl, Gr.3, Aquanaut H., L.
SOLID SPEED (10c, Jallad, Flaming Rock). 8 wins from 1600m to 2400m, R828,550, Greyville Betting World 1900, Gr.2, Lonsdale Stirrup Cup, Gr.3, Highland Night Cup, Durbanville Rugby 5 H., Greyville KZN Dolphins H., Scottsville Racing It’s a Rush S., 3d Greyville Gold Vase, Gr.2, 4th Kenilworth J&B Urban Honey Stayers’ H., Gr.2. ALEXIS (11f, Parade Leader, Red Ryder). 6 wins from 1200m to 1600m, R744,550, Greyville Tibouchina S., Gr.2, KRA Fillies Guineas, Gr.2, KZN P., Kenilworth Itsarush.co.za H., Soccer 3 H., 2d Kenilworth 9 January Queens P., 3d Greyville Umzimkhulu S., Gr.3, 4th Kenilworth Prix du Cap, Gr.3. DYNAMIC (09c, Theatrical, Lord at War). 5 wins from 1600m to 1800m, R844,610, Kenilworth Premier Trophy, Gr.2, Scottsville Sledgehammer H., L, Durbanville Racing Its a Rush P., Kenilworth Racing It’s a Rush P., 2d Kenilworth Cape Derby, Gr.1, Greyville Cup Trial, Gr.3, Fairview Racing It’s a Rush S., Scottsville Racing It’s a Rush S., 3d Greyville Betting World 1900, Gr.2, Tabgold H., Gr.3, Cup Trial, Gr.3, Turffontein Edgeline S., 4th Greyville Betting World 1900, Gr.2. DYNASTIC POWER (10c, Royal Prerogative, Jamaico). 4 wins from 1200m to 2400m, R620,100, Greyville Betting World 1900, Gr.2, Kenilworth Winter Derby, Gr.3, 2d Kenilworth Winter Classic, Gr.3, Horizon Valuation P., 3d Scottsville Sledgehammer H., L, 4th Kenilworth J&B Jet Stayers H., Gr.2, Selangor Cup, Gr.2, Winter Guineas, Gr.3, Cape Summer Stayers H., Gr.3. SMILING BLUE EYES (13f, Badger Land, Jamaico). 3 wins at 1600m, 2000m in 2016-17, R542,875, 22,020Dhs, Turffontein Gauteng Fillies Guineas, Gr.2, Fillies Mile, Gr.3. SABINA’S DYNASTY (13f, Sportsworld, Model Man). 4 wins at 1600m, 2000m in 2017-18, R620,725, Turffontein Gerald Rosenberg S., Gr.2, Visit Supabets.co.za H., Tab Telebet H., 2d Turffontein Jacaranda H., L, 4th Turffontein Acacia H., Gr.3. AFRICAN NIGHT SKY (13c, Cozzene, Kingmambo). 6 wins from 1200m to 2400m to 2017-18, R848,400, Greyville Cup Trial, Gr.3, Kenilworth Winter Guineas, Gr.3, Winter Classic, Gr.3, Winter Derby, Gr.3, 2d Greyville Solid Speed S.
HEARTLAND (11c, Cozzene, Gone West). 5 wins from 1200m to 1600m, R527,521, Greyville Byerley Turk P., Gr.3, Kenilworth Jet Master S., L, Racing It’s a Rush H., Scottsville Daniels Flooring P., 2d Durbanville Matchem S., Gr.3, Kenilworth Racing Its a Rush S., 3d Kenilworth Cape Classic, Gr.3, Carl Greaves Brokers S., Itsarush.co.za H., 4th Durbanville Matchem S., Gr.3. BARRACK STREET (14c, Al Mufti, Elliodor). 3 wins at 2 in 2016-17, R364,825, Turffontein Protea S., Gr.3, Storm Bird S., L, 3d Vaal Tab Telebet H.
IT IS WRITTEN (10c, Northfields, Sir Tristram). 8 wins from 1400m to 1800m, R774,250, Greyville Christmas H., Gr.3, Kwazulu-Natal Breeders 1600 H., Kenilworth Quartet Boxed 4 Countries to Reach Semi Finals H., Book Your Table in the Somerset Room H., Scottsville Great Rumpus S., Itsarush.co.za H., 2d Scottsville Sledgehammer H., L, Fairview Friendly City S., Greyville Fort Stud Kwazulu-Natal Breeders H., 3d Fairview Play Soccer 6 10 & 13 S., Tellytrack.com H., Kenilworth Equine Online S., Joburg’s Prawn Festival H.
MADE TO CONQUER (13c, Casey Tibbs, Al Mufti). 6 wins from 1600m to 2500m in 2017-18, R475,422, Greyville Lonsdale Stirrup Cup, Gr.3, Scottsville Racing It’s a Rush H.
OUR EMPEROR (13c, Jet Master, Elliodor). 4 wins from 1800m to 3200m to 2017-18, R387,325, Kenilworth Chairman’s Cup, Gr.3, Snaith Racing H., 2d Durbanville Settlers Trophy, L, 3d Kenilworth Cape Summer Stayers H., Gr.3. HORIZON (13c, Lomitas, Beau’s Eagle). 3 wins from 1400m to 1800m in 2016-17, R598,525, Kenilworth Politician S., Gr.3, Greyville Racing It’s a Rush P., 2d Kenilworth Jet Master S., L, 3d Greyville Daily News 2000 S., Gr.1, 4th Kenilworth Peninsula H., Gr.2. His sire sons include Irish Flame, Jackson, Dynastic Rule, Futura, Act of War, etc. Horse of the Year & Champion Classic 3yo in 2003. Merit rated 114 at 3. FORT WOOD 3 wins from 2000m to 2200m, US$322,134, Longchamp Grand Prix de Paris, Gr.1, Prix Noailles, Gr.2, Saint-Cloud Prix Rieur. He entered stud in South Af in 1994. Champion South African Sire in 1998-99. 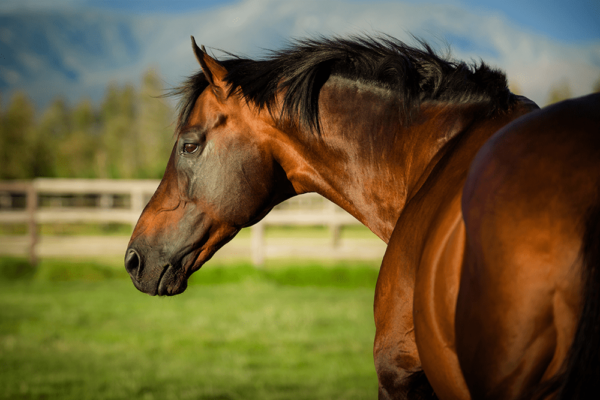 Champion South African Sire of Broodmares in 2012-13, 2014-15, 2015-16, 2016-17. Sire of 872 progeny to race, 654 winners (75.0%), earnings of over $24 million, 76 stakes winners, 61 stakes placegetters, inc. HORSE CHESTNUT (95c, Col Pickering, Grey Sovereign). 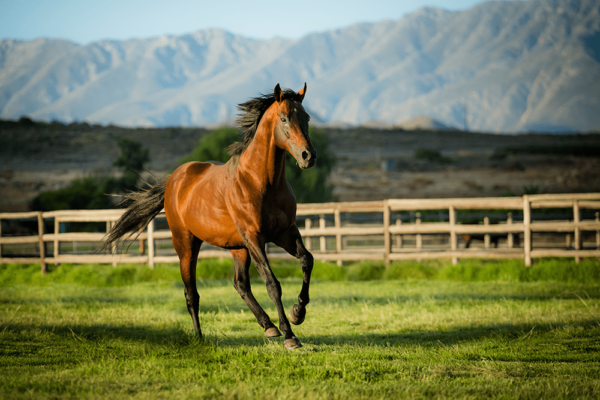 Horse of the Year in South Africa in 1998-99. Champion 3YO Classic Male & Stayer in South Africa in 1998-99.9 wins-2 at 2-from 1000m to 2450m, US$60,000, R2,501,536, Gosforth Park South African Classic, Gr.1, Kenilworth J&B Metropolitan H., Gr.1, Cape Argus Guineas, Gr.1, Turffontein South African Derby, Gr.1, Dingaans H., Gr.2, Gulfstream Park Broward H., Gr.3, Clairwood Kwazulu-Natal Free H., L, Gosforth Park Graham Beck 3YO H., L, 3d Newmarket Morris Lipschitz Juvenile P., Gr.3. DYNASTY (99c, Commodore Blake, Joy). Horse of the Year & Champion 3YO Classic Male in South Africa in 2002-03.9 wins-1 at 2-from 1600m to 2200m, R2,125,000, Greyville Durban July H., Gr.1, South African Guineas, Gr.1, Daily News Two Thousand S., Gr.1, Kenilworth Cape of Good Hope Derby, Gr.1, Green Point S., Gr.2-twice, Selangor Cup, Gr.2, 2d Kenilworth Cape Argus Guineas, Gr.1, Greyville Golden Horseshoe S., Gr.2, 3d Kenilworth Queen’s P., Gr.1. ELUSIVE FORT (02c, Secret Prospector, Oak Dancer). 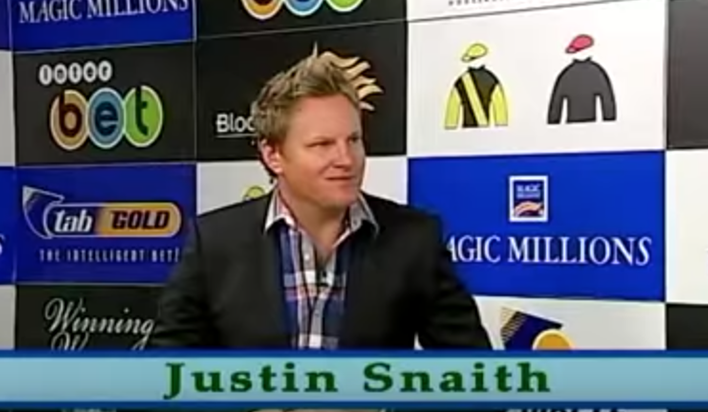 Joint Champion Stayer in South Africa in 2005-06.7 wins from 1300m to 2450m, US$37,345, R2,018,130, South African Derby, Gr.1, Greyville Daily News Two Thousand S., Gr.1, Turffontein Horse Chestnut S., Gr.1, Hawaii S., Gr.2, Vaal Sea Cottage S., L, Newmarket Bosworth Superior P., 2d Turffontein South African Classic, Gr.1, Gulfstream Park Appleton H., Gr.3. CELTIC GROVE (97g, Welsh Saint, Prince Regent). Horse of the Year & Champion 3YO Classic Male in South Africa in 2000-01.10 wins-3 at 2-from 1200m to 1600m, R1,859,758, Clairwood Gold Challenge, Gr.1, Greyville South African Guineas, Gr.1, Golden Horseshoe S., Gr.2, Newmarket Gauteng Guineas, Gr.2, Turffontein Dingaans H., Gr.2, John Skeaping Trophy S., Gr.2, 2d Greyville Durban July H., Gr.1, Kenilworth Cape Argus Guineas, Gr.1, Newmarket November H., Gr.1, Scottsville Thukela H., L, 3d Gosforth Park November H., Gr.1, Greyville Drill Hall S., Gr.2, 4th Turffontein John Skeaping Trophy S., Gr.2, Gosforth Park Premier’s H., Gr.3, Turffontein Hyperion H., L.
HUNTING TOWER (02g, Royal Chalice, Super Concorde). 10 wins-1 at 2-from 1300m to 2200m, R3,254,500, 868,680Dhs, Greyville Durban July H., Gr.1, Turffontein South African Classic, Gr.1, Gauteng Guineas, Gr.2, Dingaans H., Gr.2, Newmarket London News S., Gr.3, Meydan Dubal Casthouse Trophy, Nad al Sheba Jaguar XK Trophy, Turffontein Winner’s World Advance P., 2d Greyville South African Guineas, Gr.2, Nad al Sheba Al Fahidi Fort S., Gr.2, Turffontein Pinnacle P., 3d Kenilworth J&B Metropolitan H., Gr.1, Clairwood Champions Cup, Gr.1, Greyville Daily News Two Thousand S., Gr.1, Abu Dhabi Championship S., Gr.3, 4th Newmarket November H., Gr.2. FOREST PATH (05g, Northern Guest, Royal Prerogative). 4 wins-3 at 2-from 1200m to 1800m, R2,144,930, Greyville Golden Horseshoe S., Gr.1, Turffontein South African Classic, Gr.1, Greyville Umkhomazi S., Gr.2, 2d Scottsville Godolphin Barb S., Gr.3, Turffontein Stewarts & Lloyds Boksburg Pinnacle S., 3d Greyville Durban July H., Gr.1, 4th Clairwood Premier’s Champion S., Gr.1, Turffontein Graham Beck S., Gr.3. DOG WOOD (95f, Elliodor, Roland Gardens). Champion 3YO Classic Filly in South Africa in 1999.5 wins from 1600m to 2000m, R620,750, Kenilworth Cape of Good Hope Derby, Gr.1, Arc-En-Ciel Paddock S., Gr.1, 2d Kenilworth Cape Fillies Guineas, Gr.1. SHADOW DANCING (01f, Complete Warrior, Jamaico). 4 wins at 1200m, 1600m, R635,370, Kenilworth Cape Fillies Guineas, Gr.1, Majorca S., Gr.1, 3d Greyville Woolavington S., Gr.1. KIMBERLEY MINE (96f, Mogambo, Bold Forbes). Champion Older Classic Female in South Africa in 2000-01.7 wins-2 at 2-from 1000m to 2400m, US$6,720, R642,775, Gosforth Park Challenge S., Gr.1, Clairwood Gold Circle Oaks, Gr.2, Greyville Woolavington S., L, Scottsville Ladies Day H., L, 4th Scottsville Allan Robertson Fillies Championship, Gr.1, Clairwood Golden Slipper, Gr.2. FORT DEFIANCE (95g, Home Guard, Regent Street). 6 wins-3 at 2-from 1400m to 2000m, R1,358,650, Turffontein Champion S., Gr.1, Clairwood Sharp Juvenile S., Gr.2, Newmarket MEC Guineas, Gr.2, 2d Gosforth Park South African Classic, Gr.1, Greyville South African Guineas, Gr.1, Daily News Two Thousand S., Gr.1, Gosforth Park Elevation S., Gr.2, Clairwood Sharp Electronics Trial, Gr.3, Vaal Golden Gate H., L, 3d Newmarket Colorado King S., Gr.2, Clairwood JG Hollis Futurity P., Gr.3, Scottsville Sea Cottage H., L, 4th Greyville 1900 H., Gr.2, Turffontein Summer H., L.
ATHINA (10f, Rich Man’s Gold, Al Mufti). 4 wins-2 at 2-from 1450m to 1800m, R1,537,375, South African Fillies Classic, Gr.1, Turffontein Three Troikas S., Gr.3, 2d Greyville Woolavington 2000 S., Gr.1, Kenilworth Paddock S., Gr.1, Turffontein Johannesburg Spring Fillies & Mares Challenge, Gr.2, Fillies Mile, Gr.3, Johannesburg Spring Fillies & Mares Challenge, Gr.3, 3d Turffontein Gauteng Fillies Guineas, Gr.2, Pinnacle S.
HEIR APPARENT (00g, Al Mufti, Gatecrasher). 6 wins-1 at 2-from 1200m to 1700m, US$19,183, R535,055, South African Guineas, Gr.1, 2d Newmarket Triple Crown Guineas, Gr.1, 3d Turffontein South African Nursery P., Gr.1. THUNDERING STAR (03c, Foveros, Dancing Champ). Champion Stayer in South Africa in 2008.5 wins from 1800m to 3400m, £12,361, €3,815, R976,760, Greyville Gold Cup, Gr.1, 2d South African Derby, Gr.1, Greyville Gold Vase, Gr.2. URABAMBA (04f, Our Casey’s Boy, Perou). 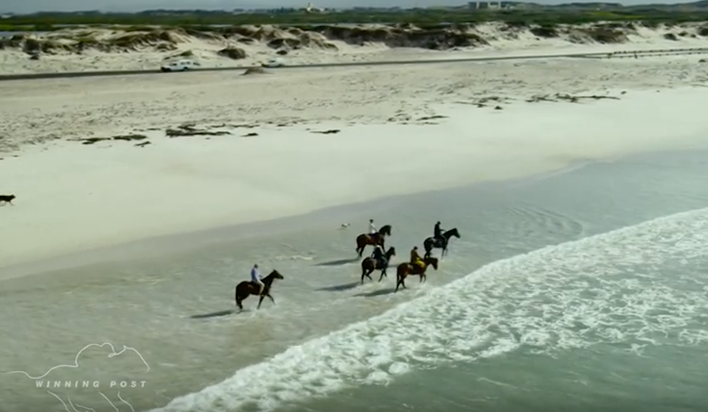 3 wins-2 at 2-from 1200m to 1800m, R814,930, Turffontein South African Fillies Classic, Gr.1, 2d Turffontein Gauteng Fillies Guineas, Gr.2, Starling S., L, 3d Turffontein Goldfields Sprint H., L, PSL Soccer 6 H.
WENDYWOOD (04f, Foveros, Boot Camp). Champion 3YO Middle Distance Female in South Africa in 2007-08.2 wins at 1600m, 2000m, R380,000, Greyville Woolavington S., Gr.1. CORK WOOD (97f, Plugged Nickle, Col Pickering). 8 wins from 1600m to 2500m, R586,479, Turffontein Gerald Rosenberg S., Gr.2-twice, Clairwood Queen Palm H., L, Gosforth Park Acacia H., L, 2d Clairwood Gold Circle Oaks, Gr.2, Greyville East Coast H., L.
SADDLEWOOD (00g, Gay Fandango, Regent Street). Champion Male Stayer in South Africa in 2004-05.7 wins from 1400m to 3200m, R713,512, Turffontein Gold Bowl, Gr.2, Newmarket Caradoc Gold Cup, Gr.3, Java H., L, 2d South African Derby, Gr.1, Vaal Computaform Rating H., 3d Greyville Gold Vase, Gr.2, Turffontein Computaform Speed Rating Progress P., 4th Greyville Daily News Two Thousand S., Gr.1. MAGIC SMOKE (08f, Western Winter, Harry Hotspur). 10 wins from 1450m to 3200m, R1,041,075, Turffontein Gold Bowl, Gr.2, Spook Express H., L, Soccer 6 S., Vaal Soccer 6 H., All to Come P., Soccer 10 P., Racing Association H., Computaform Express H., Soccer 4 H., 2d Vaal Queen of the Sand H., L, Turffontein Pinnacle S., Vaal Rugby 5 P., Soccer 13 Your Biggest Payday P., Computaform Express P., 3d Vaal All To Come P., Peermont Emperors Palace Charity Mile P.
SUPERWOOD (99c, Peacetime, Regent Street). 8 wins-1 at 2-from 1800m to 3200m, R1,095,655, Clairwood Gold Circle Derby, Gr.2, Newmarket Victory Moon H., Gr.3, Arlington Glenlair Trophy, Turffontein Sea Cottage S., 2d Greyville Durban July H., Gr.1, Turffontein Gold Bowl, Gr.2, Arlington East Cape Derby, Gr.3, Greyville Lonsdale Stirrup Cup, Gr.3, Turffontein London News S., Gr.3, Greyville Darley Arabian H., L, Newmarket Tony Ruffel S., L, 3d Greyville Gold Cup, Gr.1, Arlington Memorial Mile, L, 4th South African Derby, Gr.1, Newmarket Elevation S., Gr.2. ILHA BELA (08f, Candy Stripes, Equalize). 7 wins-2 at 2-from 1400m to 2450m, R1,314,950, South African Oaks, Gr.2, Turffontein Johannesburg Spring Fillies & Mares Challenge, Gr.3, Rugby 5 S., Soccer 6 P., Soccer 10 H., 2d Greyville Woolavington 2000 S., Gr.1, Turffontein Gauteng Fillies Guineas, Gr.2, Kenilworth Sun Classique H., L, Turffontein Syringa H., L, Soccer 6 S., All to Come P., Computaform Express H., 3d Turffontein South African Fillies Classic, Gr.1, Victory Moon S., Gr.2, Sansui Summer Cup Gauteng S.
CYCAD (00g, Last Tycoon, Queen’s Hussar). 7 wins-1 at 2-from 1400m to 3000m, R570,025, Greyville Gold Vase, Gr.2, Turffontein Aquanaut H., L, 2d Turffontein Gold Bowl, Gr.2, Racing Association H., Gr.3, 3d Greyville Gold Cup, Gr.1, Newmarket Caradoc Gold Cup, Gr.3. FORT VOGUE (05g, Model Man, Foveros). 6 wins from 1600m to 2200m, R774,025, Kenilworth Peninsula H., Gr.2, Greyville Schweppes H., Gr.3, 2d Kenilworth Premier Trophy, Gr.2, Clairwood Roski Stud S., 3d Turffontein Play Soccer 6 P., 4th Kenilworth J&B Metropolitan H., Gr.1. DUNSINANE (01g, Full Colour, Pentland Firth). 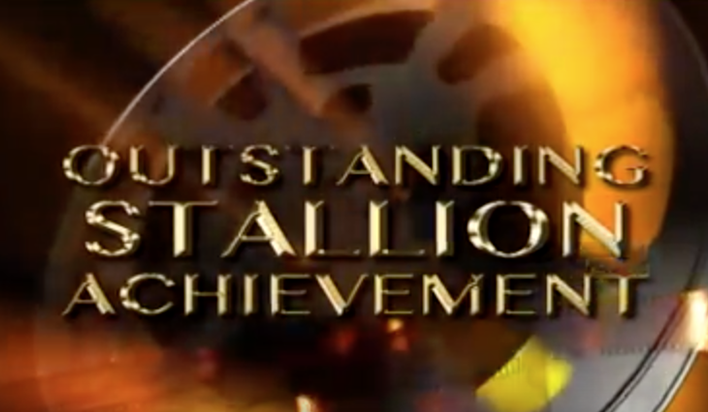 6 wins from 1000m to 1800m, R439,200, Greyville South African Guineas, Gr.2, Turffontein Jubilee H., Gr.3. CHESALON (07g, Goldmark, Truely Nureyev). 5 wins at 1600m, 1800m, R940,536, Kenilworth Premier Trophy, Gr.2, Winter Classic, Gr.3, King Louis & Rouse Bale Miller H., 2d Greyville Drill Hall S., Gr.2, Kenilworth Winter Derby, Gr.3, Turffontein All the Best for the Festive Season S., 3d Greyville Durban July H., Gr.1, Betting World 1900, Gr.2, Kenilworth Cape Kidney Association S.
REMEMBERANCE (02f, Main Man, Golden Thatch). 5 wins-1 at 2-from 1200m to 2000m, R538,240, Newmarket Gerald Rosenberg S., Gr.2, Turffontein Gauteng Fillies Guineas, Gr.2, 3d Turffontein South African Fillies Classic, Gr.1. MONYELA (98f, Plugged Nickle, Col Pickering). 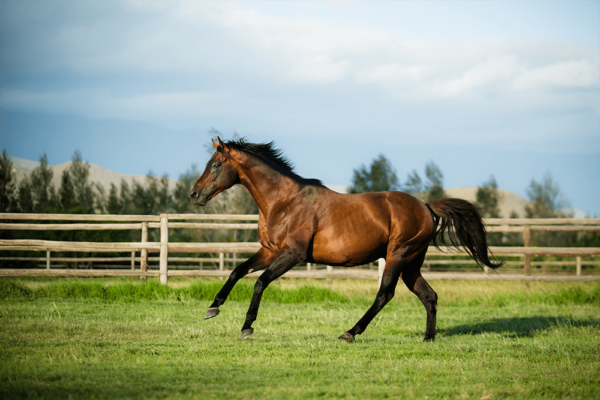 Champion Older Female Stayer in South Africa in 2001-02.5 wins-1 at 2-from 1900m to 2450m, R459,550, Clairwood Gold Circle Oaks, Gr.2, Turffontein South African Oaks, Gr.2, 2d Vaal Jasmine S.
COVER LOOK (96f, Ringaro, Good Manners). 5 wins-4 at 2-from 1200m to 1800m, R595,000, Greyville JB McIntosh Fillies Classic, Gr.2, Turffontein South African Fillies Classic, Gr.2, 2d Kenilworth Paddock S., Gr.1, Gosforth Park Elevation S., Gr.2, Turffontein South African Oaks, Gr.2, Spring Trial H., 3d Turffontein Challenge S., Gr.1, Gosforth Park Fillies Guineas, Gr.2. REEF ROAD (95g, Northern Guest, Royal Prerogative). 5 wins from 1600m to 3000m, R482,025, Greyville Gold Vase, Gr.2, Gosforth Park Aquanaut H., L, 3d Greyville Gold Cup, Gr.1, Lonsdale Stirrup Cup, Gr.3, Turffontein Caradoc Gold Cup, Gr.3. SYON (96g, Harry Hotspur, Free Ride). 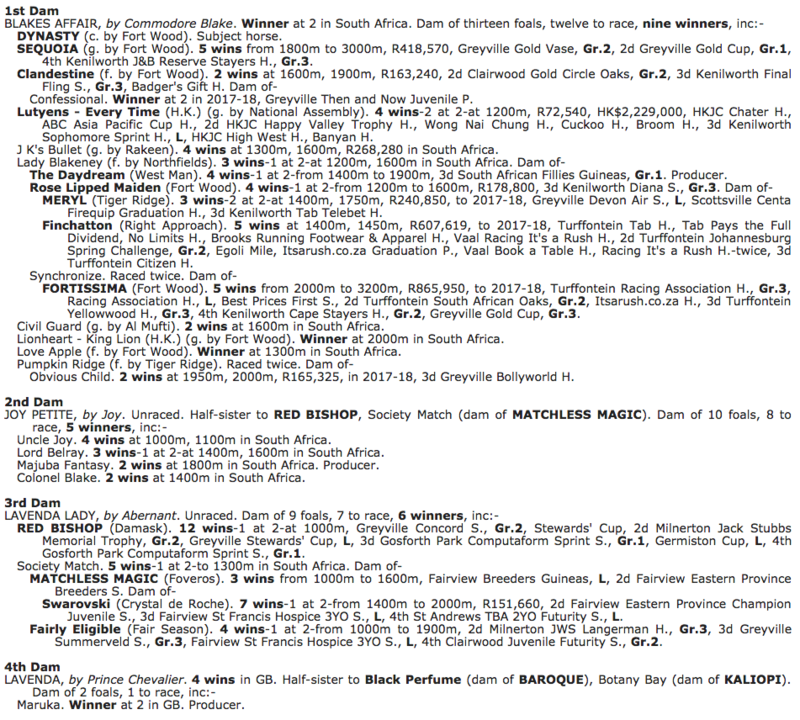 9 wins-1 at 2-from 1000m to 1600m, R561,560, Greyville Drill Hall S., Gr.2, Kenilworth Dynasty H., 2d Kenilworth Diadem S., Gr.2, Newmarket Senor Santa H., Gr.3, Durbanville Southeaster Sprint H., 3d Clairwood Mercury Sprint, Gr.1, Newmarket Computaform Sprint S., Gr.1, Kenilworth Henry Williams Florist H., 4th Turffontein Merchants H., Gr.2. IRON CURTAIN (05g, Plugged Nickle, Col Pickering). 8 wins from 1450m to 1800m, R868,050, Vaal Emerald Cup, Gr.2, Turffontein Racing Association H., Vaal Racing Express Pinnacle S., Computaform Rating Pinnacle S., 2d Vaal Emerald Cup S., 3d Turffontein Racing Association H.
HUNDRED ACRE WOOD (00g, Northern Guest, Harry Hotspur). 8 wins from 1400m to 1800m, R323,630, Kenilworth Premier’s Trophy, Gr.2. KESTREL (99g, Shirley Heights, Raffingora). 6 wins-1 at 2-from 1350m to 1800m, R265,815, Vaal John Skeaping Trophy S., Gr.2, Randjesfontein Slumberland H., 2d Clairwood Soccer 6 H.
CAROLINA CHERRY (97f, Home Guard, Persian Wonder). 5 wins-1 at 2-from 1000m to 2400m, R422,305, Clairwood Gold Circle Oaks, Gr.2, 2d Greyville Garden Province S., Gr.1, Gosforth Park Challenge S., Gr.2, Greyville Woolavington S., Gr.2, Turffontein Pretty Polly Juvenile S., L, Roland’s Song S.
DOG ROSE (96f, Shirley Heights, Raffingora). 5 wins-1 at 2-from 1300m to 2000m, R469,225, Gosforth Park Fillies Guineas, Gr.2, 2d Kenilworth Paddock S., Gr.1, 3d Turffontein South African Fillies Classic, Gr.2, South African Oaks, Gr.2, Empress Club S., Gr.2, Gosforth Park Jacaranda H., Gr.3. SEQUOIA (95g, Commodore Blake, Joy). 5 wins from 1800m to 3000m, R418,570, Greyville Gold Vase, Gr.2, 2d Greyville Gold Cup, Gr.1, 4th Kenilworth J&B Reserve Stayers H., Gr.3. BEDLOE’S ISLAND (05f, Qui Danzig, Secret Prospector). 4 wins from 1400m to 2450m, R719,750, South African Oaks, Gr.2, Vaal Racing Association Open H., 2d Turffontein Gerald Rosenberg S., Gr.2, Sun Chariot H.
CASK (06g, Danehill, Bletchingly). 3 wins from 1450m to 1800m, R529,845, Kenilworth Premier Trophy, Gr.2, 2d Kenilworth Premier Trophy, Gr.2, Enjoy Cape Racing H., What a Winter P., International-Racing SA/WPOTA H., 3d Greyville Thukela H., L, Durbanville Kuda Personal & Commercial P., Kenilworth Enjoy Cape Racing S., Etana Insurance P., 4th Clairwood Cup Trial, Gr.3, Fairview Algoa Cup, Gr.3. SWEETIE PIE (06f, Exile King, Clackson). 3 wins from 1200m to 2400m, R250,625, Clairwood Gold Circle Oaks, Gr.2. MY CHOICE (00g, Elliodor, Jan Ekels). 9 wins-1 at 2-from 1300m to 1600m, R521,135, Clairwood King’s Cup, Gr.3, Scottsville Byerley Turk P., Gr.3, Clairwood Thukela H., L, Greyville NCO’s H., 3d South African Guineas, Gr.1, Clairwood Christmas H., Gr.3-twice, 4th Greyville Michaelmas H., L, Scottsville Michael Roberts H., L.
QUEEN’S BAY (05f, Golden Thatch, Roberto). 8 wins from 1450m to 1800m, R906,125, Turffontein Yellowwood H., Gr.3-twice, Jacaranda H., Gr.3, Mrs KML Makins P., Computaform Express H., Vaal Computaform Open H., 2d Turffontein Gerald Rosenberg S., Gr.2, Ipi Tombe Challenge, Gr.2, Vaal Racing Association H., 3d Greyville Gold Bracelet S., Gr.2, Turffontein Gerald Rosenberg S., Gr.2, 4th Turffontein Champions Challenge, Gr.1. GOLDEN ORIOLE (00g, Freedom Land, Free Ride). 7 wins from 1400m to 2500m, R338,900, Kenilworth Cape Summer Stayers H., Gr.3, Durbanville Woolavington H., L, 2d Kenilworth J&B Reserve Stayers H., Gr.2, Settlers’ Trophy, L.
FORTISSIMA (12f, Al Mufti, Northfields). 5 wins from 2000m to 3200m to 2017-18, R865,950, Turffontein Racing Association H., Gr.3, Racing Association H., L, Best Prices First S., 2d Turffontein South African Oaks, Gr.2, Itsarush.co.za H., 3d Turffontein Yellowwood H., Gr.3, 4th Kenilworth Cape Stayers H., Gr.2, Greyville Gold Cup, Gr.3. OVER BEARING (02c, Highborn Harry, Prince Tor). 5 wins from 1400m to 1800m, R374,250, Newmarket Victory Moon H., Gr.3, Turffontein Wolf Power H., L, 2d Newmarket Nijinsky S.
GINKGO (96g, Jacinto, Quadrangle). 5 wins from 1400m to 3200m, R309,365, Kenilworth Chairman’s H., Gr.3, Durbanville Cup, L, 2d Kenilworth J&B Reserve Stayers H., Gr.3, Durbanville Cup, L, Durbanville Woolavington H., L, 3d Durbanville Spring S., Kenilworth Peter Gird Productions H., Durbanville Kenya H., 4th Kenilworth Cape Summer Stayers H., Gr.3, Chairmans H., Gr.3. BLUE WHITE (00g, Northfields, Mount Hagen). 10 wins from 1600m to 2000m, R705,815, Fairview Algoa Cup, Gr.3, Newmarket Cargo Africa Empowerment CC H., 2d Clairwood Cup Trial, Gr.3, Scottsville Sledgehammer H., L, Clairwood Independent Golfer H., 3d Scottsville Thukela H., L.
WONDER LAWN (03g, Roy, Ghadeer). 7 wins from 1200m to 2000m, R340,010, 592,892Dhs, Kenilworth Peninsula H., Gr.3, Jebel Ali Emirates NBD H., Meydan Jaguar XF Trophy, 2d Kenilworth Selangor Cup, Gr.2, Durbanville Milers S., 3d Greyville Astrapak H., Gr.2, Meydan Millennium Millionaire H., Meydan Hotel S., Greyville Bold Ellinore H.
BIG BAD JOHN (99g, Del Sarto, Northfields). 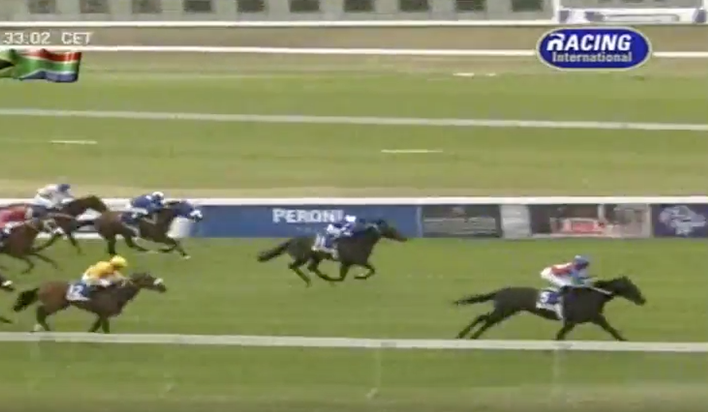 7 wins from 1400m to 2850m, R571,850, Newmarket Racing Association H., Gr.3, Turffontein Lodge Scotia H., 2d South African Derby, Gr.1, 3d Greyville Daily News Two Thousand S., Gr.1, Newmarket Java H., L, Vaal Nijinsky S., L, 4th Turffontein Drum Star S., L.
PATACHE (96g, Super Concorde, Dr Fager). 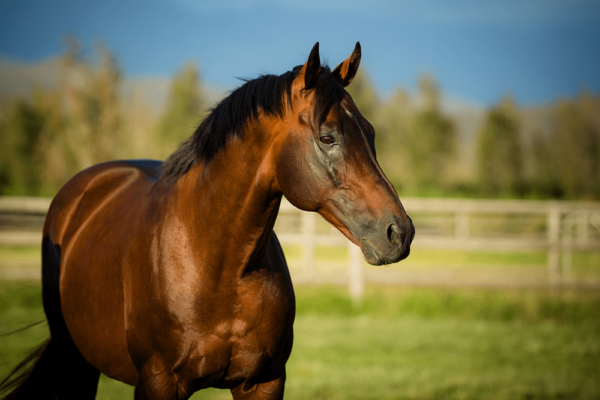 6 wins-3 at 2-at 1400m, R368,665, Clairwood Breeders’ Challenge S., Gr.3, Kenilworth KFC Solstice S., 2d Greyville Premier’s Champion S., Gr.1, 3d Turffontein Juvenile S., Gr.2, Durbanville Classical Lover H.
OLYMPIC STORM (02f, Foveros, Dancing Champ). 5 wins at 1800m, 2200m, R357,300, Turffontein Jacaranda H., Gr.3, Vaal Sun Chariot H., Racing Express Graduation P., 2d Newmarket Allez France H., L, 3d Turffontein Pythagoras H., 4th Scottsville East Coast H., L.
EAST WIND (97g, Harry Hotspur, Brigadier Gerard). 5 wins at 1600m, 2000m, R259,775, Newmarket South African Derby Trial H., Gr.3, Clairwood Win Bet H., 3d Greyville Michaelmas H., L, Turffontein Ferrari Automobile Club H., 4th South African Derby, Gr.1. QUICKWOOD (02f, Al Mufti, Gatecrasher). 4 wins-1 at 2-to 1400m, R263,750, Newmarket Magnolia H., Gr.3, 2d Turffontein Hawaii S., Gr.2, 3d Newmarket Gardenia H., L, 4th Scottsville Poinsettia S., Gr.3, Turffontein Sycamore Sprint H., L.
BANKER’S GOLD (01g, Al Mufti, Lord Henham). 4 wins-3 at 2-from 1200m to 1800m, R173,188, Clairwood Umkhomazi S., Gr.3, 3d Vaal Winner’s World Fasttrack Rating Advance P.
ACACIA WOODLAND (96g, Royal Prerogative, Linacre). 4 wins-2 at 2-from 1200m to 2000m, R194,900, Kenilworth Peninsula H., Gr.3. CLOSE THE GAP (10f, Plugged Nickle, Col Pickering). 3 wins at 1600m, R346,625, Turffontein Fillies Mile, Gr.3, Emperors Palace Garden of Lights H., 2d Turffontein Three Troikas S., Gr.3. SKY RISE (09g, Elliodor, Politician). 3 wins at 2600m, 3200m, R292,725, Turffontein Racing Association H., Gr.3, Book a Table at Our Next Raceday H., 4th Turffontein Racing Association H., Gr.3, Caradoc Gold Cup, Gr.3, Java H., L.
NATIONAL BANKER (02f, Al Mufti, Lord Henham). 3 wins-1 at 2-from 1200m to 2000m, R166,840, Greyville Gold Bracelet S., Gr.3. NEGROAMARO (12f, Al Mufti, Elliodor). 2 wins-1 at 2-at 1400m, 1600m, R899,425, Turffontein Fillies Mile, Gr.3, Racing. It’s a Rush Juvenile P., 2d Greyville Woolavington 2000, Gr.1, Turffontein South African Fillies Classic, Gr.1, Gauteng Fillies Guineas, Gr.2, Three Troikas S., Gr.3, Grand Heritage in October Graduation P., 3d Greyville KZN Fillies Guineas, Gr.2, Turffontein Triple B Festival at Charity Mile P., All to Come P., Vaal Racing It’s a Rush P., 4th Turffontein Jacaranda H., L.
His sire sons include Dynasty (59), Horse Chestnut (20), Elusive Fort (6), Whistling Wood, Fort Beluga, etc. 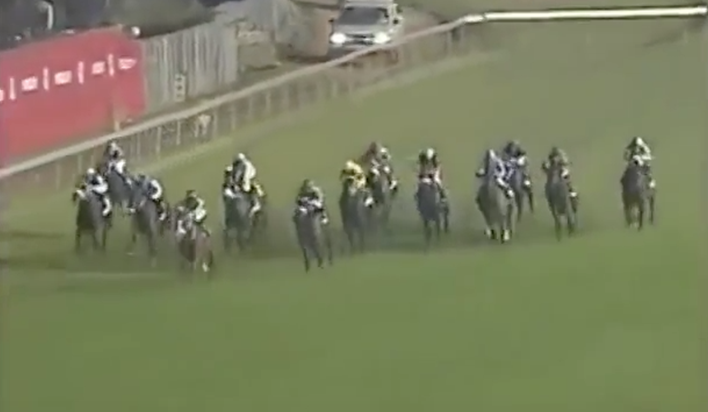 COMMODORE BLAKE 6 wins from 1600m to 2050m, Rome Premio Ribot, Gr.2, Saint-Cloud Prix Perth, Gr.3, Doncaster Holsten Pils H., Goodwood Chesterfield Cup, Newbury Gordon Richards H., 2d Kempton September S., Gr.3, Ayr Land of Burns S., L, 3d Royal Ascot Prince of Wales’s S., Gr.2, Longchamp Prix du Prince d’Orange, Gr.3. and 1 stakes winner, inc. GENERAL BLAKE, etc. 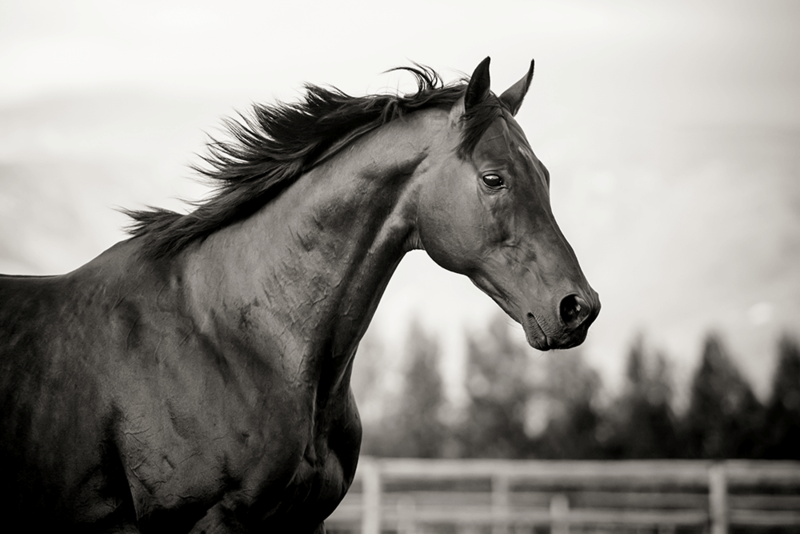 Maternal sire of winners of over $1.1 million – 2 stakes winners, inc. DYNASTY, SEQUOIA. Dynasty, head and shoulders above the best of his generation at 3 and voted Horse of the Year, is the second Gr1 winning son of Fort Wood to enter stud, following Horse Chestnut. The latter has made his mark internationally with Gr1 & Gr2 winning offspring in his first two crops. Locally, amongst Fort Wood’s highest rated Gr1 winning performers three names stand out: Horse Chestnut, Dynasty and Fort Defiance. Interestingly, the dams of all three show remarkable similarities in their interaction with Fort Wood. The role of broodmare sires in a pedigree is often underrated. In the case of Dynasty, the presence of his dam’s sire Commodore Blake appears to be a key one. Trained by Michael Stoute, Commodore Blake (TFR 123) is by English Derby winner Blakeney out of Ribamba, half sister to another English Classic winner, Bruni. Their dam Bombazine finished fourth in the Oaks. Bombazine is a daughter of Shantung, and here we get to the heart of the matter. Shantung also appears close up in the pedigree of Horse Chestnut’s damsire Col Pickering, as the sire of this one’s dam Julie Andrews. In fact, Bombazine and Julie Andrews are close genetic relatives, both by Shantung out of a mare by a son of Nasrullah. Shantung (TFR 132) was sired by French Derby winner Sicambre and is out of the mare Barley Corn, by Hyperion out Schiaparelli. Barley Corn’s lasting influence also comes through her daughters, who are found in the bottomline pedigrees of sires Roi Dagobert, Sassafras, Oak Dancer, Djakao, Polar Falcon. Barley Corn is closely inbred, 2×2 to a son and a daughter of Serenissima – they are Selene (dam of Hyperion) and Schiavoni (sire of Schiaparelli). When these elements are linked back to the pedigree of Fort Wood, they are readily received. Fort Wood’s dam, champion broodmare Fall Aspen, is closely inbred. Imitation, the dam of her sire Pretense, and Khaled, the maternal grandsire of her dam Change Waters are genetic siblings, making for a snug 2×3 match in Fall Aspen. Imitation and Khaled are both by Hyperion. Better still, Khaled’s pedigree make-up makes him a genetic sibling to Barley Corn, and the same goes for Imitation. Futher evidence of this genetic sibling link-up is provided by the dam of Fort Defiance, Lily of the Guard, whose dam is a daughter of Regent Street. The latter’s pedigree elements make him a genetic sibling to both Khaled and Imitation. And if there were any doubts left, there’s another of Fort Wood’s Gr1 winning sons Celtic Grove. His dam’s sire Welsh Saint is yet another Khaled genetic sibling. 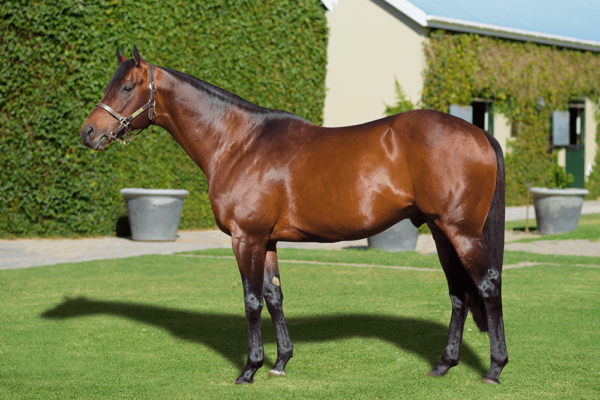 Dynasty’s damsire Commodore Blake averaged a mere 15 foals per crop during his South African stud career, and evidence of his affinities is thin. Even so, his best two sons General Blake and Wellington fit the expected pattern. General Blake is out of a mare by Turnkey, whose grandsire Tudor Minstrel is a Barley Corn genetic sibling. Wellington’s grandam is by New South Wales, who with two lines of Hyperion and one of Nasrullah belongs in the Barley Corn genetic sibling camp as well. As a broodmare sire Commodore Blake has had (apart from Dynasty) the useful Casual Guy, whose dam is by Tudor Minstrel’s grandson Sweet Song. And so all roads lead to Rome. Still to consider is the not inconsiderable influence of Dynasty’s bottom female line. His grandam Joy Petite is by Joy II (three-parts brother to My Babu) out of Lavenda Lady, by Abernant. The latter is by Hyperion’s son Owen Tudor (sire also of Tudor Minstrel) out of a mare from Nasrullah’s female line. Abernant, not surprisingly, turns out to be a genetic sibling to Khaled and Imitation. Dynasty’s grandam Joy Petite has more than that, however. Her sire Joy II and her dam Lavenda Lady have the same bottom female line. Joy II is out of Perfume, a daughter of Lavendula. The third dam of Lavenda Lady is Source Sucree, also a daughter of Lavendula. Perfume is an important element in modern pedigrees, through her sons My Babu, Sayani and Joy. Source Sucree features prominently as the dam of influential stallion Turn To (sire of Hail to Reason, Sir Gaylord, Best Turn, First Landing), while her daughter Black Brook is not only the third dam of Joy Petite but also of highclass sire Irish River. Finally, Lavendula is a grandaughter of influential mare Marchetta, which is of significance to those who want to delve deeper into pedigrees than space allows. The latch-up of Khaled, Imitation, Barley Corn and Abernant has Hyperion (and his female line elements of Selene and Serenissima) as the driving force. 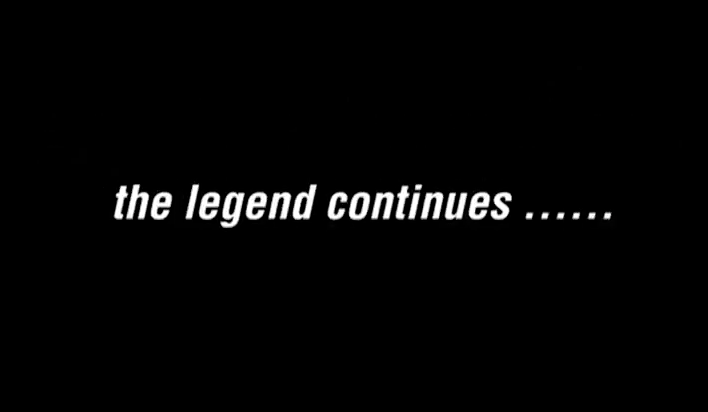 Khaled especially may be of significance. He is represented in the pedigree of Dynasty’s sire Fort Wood through Swaps. The latter has a well documented affinity with the mare Flower Bowl (dam of Graustark, His Majesty). The pair are inbred 2×2 to Hyperion and genetic sibling Beau Pere. In South Africa, Khaled and Imitation are found together (2×2) in the mare Mime, who is grandam of Badger Land. In Badger Land’s pedigree, Khaled was mated to Bastogne to produce Mime’s dam Avignon. Bastogne, interestingly, is by Djebel out of a mare by Badruddin – compare this to the pedigree of Joy II, who is by Djebe (a son of Djebel) out of a mare by Badruddin. Dynasty and Badger Land mares might make interesting bed-mates indeed. Swaps also pops up in the bottom female line of Rakeen. In addition, the latter’s dam is a daughter of Halo, by Hail to Reason (Turn To). Then there is Secret Prospector, whose dam has Flower Bowl and Swaps 2×3. And Rocky Marriage, whose damsire Candy Spots is a 3-parts brother to Swaps (Khaled x Beau Pere). Pretense and Barley Corn are not readily available in South African based mares, with French Stress (grandson of Pretense) a limited source. Abernant, on the other hand, is widespread. In this context the pedigree of Golden Thatch (and full brothers Waterville Lake and Thatching) is of interest. The trio are by Thatch (Hyperion male line) out of a mare by Abernant. Thatch, in addition, is a full brother to the mare Special, found in Dynasty’s pedigree as the grandam of Sadler’s Wells. Moreover, Golden Thatch is inbred to the female line of Thatch and Special. Tudor Minstrel, Regent Street and New South Wales are well represented in the South African mare population. Tudor Minstrel is a nice one in the mare Mixed Marriage (third dam of Gone West, sire of Western Winter and West Man who has the Irish River connection) and in the mare Aimee (grandam of Blushing Groom, sire of Jallad). There are other lines, of course. Regent Street is the damsire of Soho Secret and of Miss Lily, who both have a host of good daughters at stud. Soho Secret is the dam of London News. New South Wales is mainly found in bottom female lines, and getting further back now. Lavendula also appears in My Babu (wide-spread, damsire of Damascus among others) and Ambiorix (damsire of Impressive, in Western Winter; Impressive is a close genetic relative of Lavenda Lady). BEACH BEAUTY – GR1 GARDEN PROVINCE S.